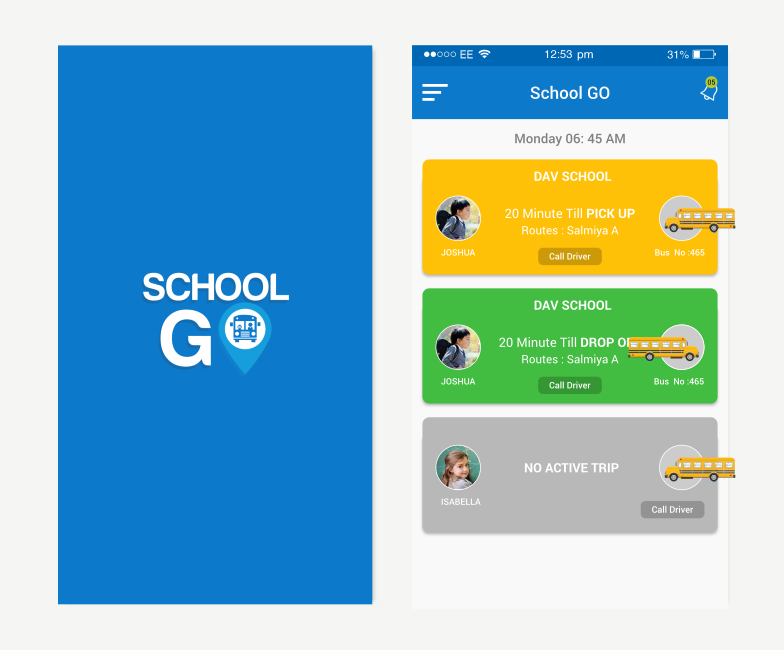 SchoolGo helps both schools and parents track the safety of the students during their school bus trip. We aim to provide the best service that will help the bus driver to be in contact with the school and parents at all times ensuring the children’s safety. • You will get notification 15 minutes before bus arrival. • You can track the bus movement knowing exactly when it will reach the desired destination. • At the end of the school day, you will get a notification when the children are boarded on the bus for the return trip.